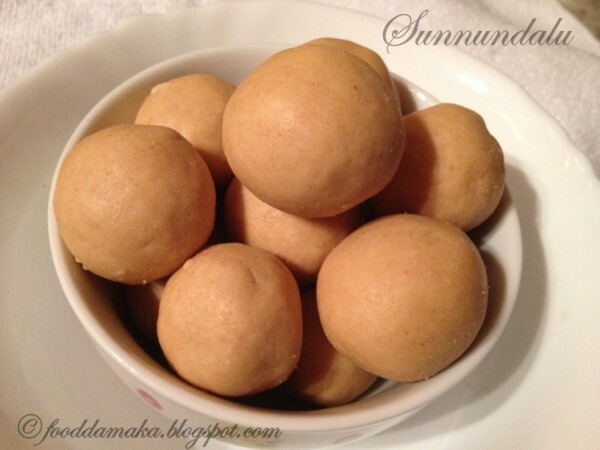 I made these sunnundalu on deepavali day.They came really well and tasted delicious.It is very simple and easy to prepare.Here goes the recipe..
Dry roast the urad dal on medium flame until dal changes its colour to light brown colour,don’t make it too brown.Remove from the flame and allow it to cool.Once it is cooled grind the dal and sugar into a fine powder.Then transfer the mixture into wide bowl and add warm melted ghee to the powder and mix well without any lumps and then make them into round balls. If you like you can add fried cashew nuts on the top of the ladoo. 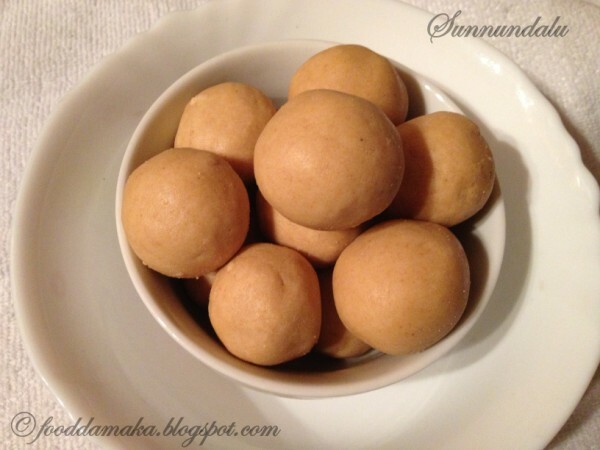 Super attractive healthy sunnundalu, well done. BTW iam following ur space 4m nw..If gets sumtime plz check out my space n new FB page dear.If u clik on follow n like I may feel happy…Hope u vl..Thanx in advance. Hi i am Greg Mclardie and i am a food lover, i love to try this soon, thanks for sharing.